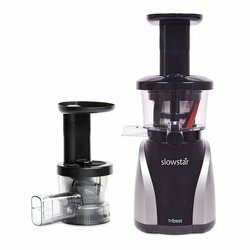 As versatile as it is portable, the Tribest PB-250-A Personal Blender delivers an impressive 200 watts of ice-crushing, smoothie-making power wherever you plug it in. 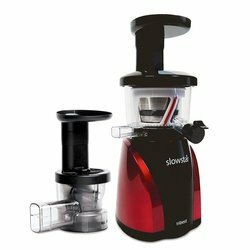 The blender is compact and smartly designed with high impact BPA-free polyester containers for blending, grinding or serving. 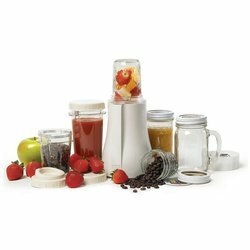 You can buy the Mason jar attachment anytime to enable this blender to conveniently blend, serve, and store your favorite recipes all in the same glass Mason jar. The PB-250-A conveniently comes with a commuter sipping lid so you can take your drinks with you on the go, and it comes with three regular screw-on lids for easy storage. 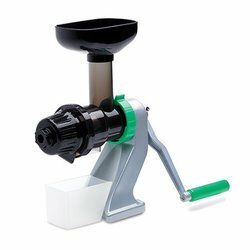 It is capable of two function modes: push the jar down for one-touch pulse mode or press down and twist for continuous blending/grinding operation. 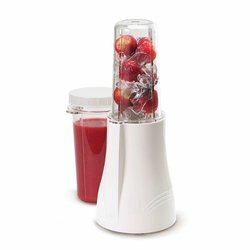 Tribest PB-250-A Personal Blender- Free Ground Shipping (Continental US Only) has been added successfully to your wishlist.